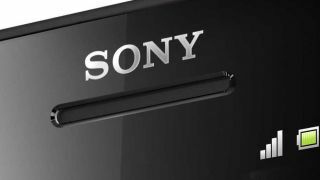 Has Sony Mobile turned the corner? Sony has jumped three places in the global smartphone sales rankings compared with the same period one year ago. According to new research from IDC, the Japanese company was the third place manufacturer in Q3 2012, trailing only Samsung and Apple. That compares with an altogether unimpressive sixth place finish during the corresponding period in 2011. Since then Sony has overtaken RIM, Nokia and HTC, the latter of which has seen its fortunes slump to dismally low levels. While Sony can certainly pat itself on the saddling into the No. 3 spot, its rise probably has more to do with the ongoing struggles of the aforementioned trio. Sony's market share actually fell, year-on-year, from 5 per cent in 2011, to 4.8 per cent in 2012 - it's just that HTC, Nokia and RIM fell further. Nokia slipped dramatically from a 13.6 per cent hold in 2011 to just 3.4 per cent in 2012. HTC dropped from 10.3 per cent to 4.6 per cent, while RIM dropped from 9.6 per cent to 4.2 per cent. As expected, Samsung posted a massive leap from 22.7 per cent to 31.3 per cent and is definitely 2012's big winner. Apple's share also improved form 13.8 to 14.6 per cent of the overall market. Sony's renewed efforts in the smartphone market comes following its divorce from Ericsson just over a year ago. The rebranding effort has seen Sony enjoy some critical and commercial success with Android handsets like the Xperia S and Xperia T.
The company expects a big bump in 2013, with the rumoured 1080p "Odin" handset set to compete at the top end of the market.